Not to be confused with Rogers Centre in Toronto or Rogers Place in Edmonton. Rogers Arena is an indoor sports arena located at 800 Griffiths Way in the downtown area of Vancouver, British Columbia. Opened in 1995, the arena was known as General Motors Place (GM Place) from its opening until July 6, 2010, when General Motors Canada ended its naming rights sponsorship and a new agreement for those rights was reached with Rogers Communications. Rogers Arena was built to replace Pacific Coliseum as Vancouver's primary indoor sports facility and in part due to the National Basketball Association's 1995 expansion into Canada, when Vancouver and Toronto were given expansion teams. It is home to the Vancouver Canucks of the National Hockey League and the Vancouver Warriors of the National Lacrosse League. The arena also hosted the ice hockey events at the 2010 Winter Olympics. The name of the arena temporarily became Canada Hockey Place during the Olympics. It was previously home to the Vancouver Grizzlies of the National Basketball Association from 1995 to 2001. The arena was completed in 1995 at a cost of C$160 million in private financing to replace the aging Pacific Coliseum as the main venue for events in Vancouver and to serve as the home arena to the Vancouver Canucks of the National Hockey League and the Vancouver Grizzlies of the National Basketball Association. The Grizzlies spent six seasons in Vancouver before relocating to Memphis, Tennessee, for the 2001–02 season. The arena was briefly home to the Vancouver Ravens of the National Lacrosse League from 2002 to 2004. The operations of the team have since been suspended. Attempts were made to revive the team in 2007 and again in 2008. The employees of the arena belong to a trade union. In 2007, they chose to change their union affiliation from UNITE HERE – Local 40 to the Christian Labour Association of Canada. After many months of struggle the British Columbia Labour Relations Board declared the employees choice of a new union. The employee group includes hosts, housekeeping, security and various event staff at the venue. UNITE-HERE local 40 still represents food service workers in the arena, employed by Aramark. The stadium's event technical employees are provided through Riggit Services Inc. In 2007, the arena received a new suspended scoreboard, which at the time was the largest in the NHL. The arena was originally named General Motors Place as part of a sponsorship arrangement with General Motors Canada, and was commonly known as "GM Place" or "The Garage". It was temporarily renamed "Canada Hockey Place" for a two-week period during the 2010 Winter Olympics due to Olympics regulations regarding corporate sponsorship of event sites. On July 6, 2010, it was announced that GM had declined to renew the naming rights, and that Rogers Communications had acquired the naming rights under a 10-year deal, under which it was renamed Rogers Arena. The following year, the arena reached a five-year sponsorship deal with PepsiCo, under which it became the exclusive provider of beverages and snacks at Rogers Arena, and gained sponsorship placements. In addition, all concerts held at Rogers Arena promote the venue as Pepsi Live at Rogers Arena. In July 2012, Aquilini Investment Group, the owners of Rogers Arena and the narrow strip of surrounding land, received approval to build three new highrise towers around the existing arena. The towers would consist primarily of 614 rental units and would be the largest rental project built in Vancouver during the last 30 years. The 650,000-square-foot project includes 753 parking spaces and 216,000 square feet of commercial space. Aquilini Investment Group had originally planned to build the towers with condo units. The switch to rental units provides the City with much-needed rental space. However, the city lost about $35 million in developer contributions to community facilities in the Northeast False Creek area that would have been collected if the buildings had been condos. As of June 2016, the first tower is completed, with the second tower nearing completion. October 6, 2002 – Queen Elizabeth II dropped the ceremonial first puck in an NHL exhibition game between the San Jose Sharks and the Vancouver Canucks. June 1, 4, 10, and 15, 2011 – Games 1, 2, 5, and 7 of the 2011 Stanley Cup Finals. The Boston Bruins defeated the Canucks 4-0 in game 7 of the finals to capture the Stanley Cup. June 12, 2010 – Hosted UFC 115. June 14, 2014 – Hosted UFC 174. November 7, 2002 – Riot when Axl Rose failed to show for Guns N' Roses show. ^ "General Motors Place". Basketball.ballparks.com. Retrieved February 18, 2013. 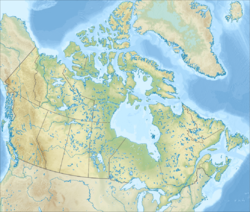 ^ Canadian inflation numbers based on Statistics Canada tables 18-10-0005-01 (formerly CANSIM 326-0021) "Consumer Price Index, annual average, not seasonally adjusted". Statistics Canada. Retrieved March 6, 2019. and 18-10-0004-13 "Consumer Price Index by product group, monthly, percentage change, not seasonally adjusted, Canada, provinces, Whitehorse, Yellowknife and Iqaluit". Statistics Canada. Retrieved March 6, 2019. ^ "Rogers Arena". Hockey.ballparks.com. Retrieved February 18, 2013. ^ CBC Sports (July 6, 2010). "GM Place renamed Rogers Arena". CBC News. ^ "Canada Hockey Place". Vancouver 2010. ^ "Look at Vancouver to see a new scoreboard". East Bay Times. 2007-01-29. Retrieved 2018-03-20. ^ Lanaway, Jeremy. "Show Time". Canucks Sports & Entertainment. Retrieved May 12, 2010. ^ Canadian Press (July 6, 2010). "GM Place to be renamed Rogers Arena". TSN. Archived from the original on July 9, 2010. Retrieved July 6, 2010. ^ October 05; 2011. "Pepsi ousts Coke in Rogers Arena deal". Retrieved 2019-03-08. ^ Hager, Mike (July 19, 2012). "Vancouver city council approves Aquilini's three new highrise towers beside Rogers Arena". Vancouversun.com. Retrieved February 18, 2013. ^ Frances Bula (July 15, 2012). "Rental units proposed for Rogers Arena". The Globe and Mail. Retrieved February 18, 2013. ^ Meiszner, Peter (2016-04-27). "Second tower of rental apartments at Rogers Arena takes shape - urbanYVR.com". Retrieved 2016-08-10. ^ "Queen visits GM Place to drop ceremonial puck". Archived from the original on November 22, 2005. Retrieved October 5, 2010. ^ "UFC 115". The Vancouver Sun. Archived from the original on August 19, 2010. Retrieved August 17, 2010. ^ "profile". Vancouver2010.com. Retrieved February 18, 2013. ^ Jeremy Brand (2014-01-19). "UFC announces Vancouver event on June 14 for UFC 174". vancitybuzz.com. Retrieved 2014-01-19. ^ UFC Press Release (2016-06-15). "UFC returns to Vancouver in August". ufc.com. Retrieved 2016-06-15. ^ Rose, Victoria. "The International 8 to take place August 20-25 in Vancouver". The Flying Courier. Polygon. Retrieved 16 March 2018. Wikimedia Commons has media related to Rogers Arena. "The House That Heaven Built"